Do you happen to have a tabby cat at home? Most ailurophiles have probably heard of tabby cats or have seen them around but haven’t realized it yet. Some also associate the name to female cats because Tabby is a popular female cat name. There are probably thousands of tabby cats in shelters alone. If you’re one of those planning to own one, read on and be amazed by some amazing information about these pets! Fact #1 – Tabby Cats are Alley Cats — NOT! Some people associated tabby cats with mixed breeds, alley cats, or even to a certain breed alone. Tabby cats are, hold on to your breath — not a type of breed. Surprised? Tabby cats refer to the coat pattern that may be seen in both domestic, mixed breeds, and pure pedigreed cats. They may appear in different colors and size of markings. This is the most common cat pattern in the world. Fact #2 – There are Even Types? Classic – Also termed as blotched; cats that have this coat usually have swirls of darker fur against a light one. The whorls are continuous on the back of cats then swirls on the sides. Their tails and legs have ring outlines. This may be the reason why they also call this type as marbled. Most American Shorthairs have this type of pattern. Mackerel – This pattern has a distinct horizontal stripe across its back. From there, vertical stripes that are either broken or solid run down their body. This results in a form that is similar to a fish bone, hence the term mackerel. Pretty smart. This is the most common pattern you can usually see in cats. Bet you’ve seen at least one in your neighborhood. An example of a cat breed with mackerel tabby is a Toyger, one of the most expensive cat breeds. But then, why is the classic called the classic if this is the most common, you might ask. Some people have argued that this type should’ve gotten the name classic, just like you did. Or did not. Moving on. Spotted – As the name suggests, this pattern has dark spots over a lighter background coat. These spots can either be small or large. Some of the famously spotted tabbies are the Ocicat and the Egyptian Mau. Ticked or Agouti – This can be seen as a solid coat color from afar. But if you look closely, you will see that the individual hairs have different band colors of black, brown, and yellow. These are called agouti hair and are described as a “ticked” coat. Cats that have this pattern usually shine under bright light. Try to find the patterns if you see solid-colored cats that are shining under the sun. Why is it called an agouti hair though? Simply because the pattern is caused by the agouti gene which can also be found in other animals such as dogs, horses, and rodents. A classic example of this pattern is the Abyssinian cat breed. Fact #3 – Where did the Name Tabby Come From? It is said that it may have originated from the Arabic word Al-‘Attabiya, a city in Baghdad where a special silk taffeta with stripes was manufactured. The silk was eventually named after the city and was known as attabi. In France, it was known as tabis until the 1600s when the English renamed it as tabby. Then the word migrated to the cat world in the 1700s and never turned back. From fabric to cats? Go figure. A very distinct feature of tabby cats is that they all have the M marking on their head. This makes them easy to distinguish from other cat patterns aside from the tabby. 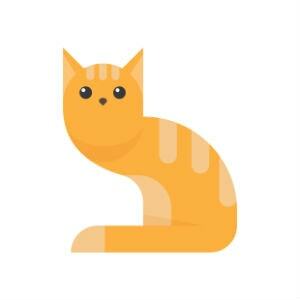 There are myths surrounding this M pattern on tabby cats. Some say the M stands for Mau, the Egyptian word for cat. During the ancient times, cats were associated with gods. The gods, Bastet and Sun God Ra, were usually depicted as cats during ancient times. It was said that Prophet Muhammad was the one who bestowed the M on the cat’s forehead. There was a story that his favourite cat, named Muezza, saved him from a snake bite. He gave it the ability to land on its feet when falling as a reward. Another version was the granting of the M sign by Jesus’ mother. The cat which snuggled up and helped keep the then baby Jesus warm was given gratitude by the Virgin Mary thru the M mark. Some of the common color markings in tabby cats are orange, gray, ginger, brown, black, silver, red, blue, and cream. Probably the most common among the colors is brown or a combination of brown-gray colors. Tabby cats that have a brown color usually have the blotched pattern. While a silver tabby cat is a result of white roots against a black and gray pattern in individual hair strands. It appears more silver than gray giving it a shiny appearance especially under a bright light. Fact #6 – Cat Jams! Orange, red, yellow, or combination-coated tabby cats are also known as marmalade cats or ginger tabbies. Most orange and dark orange tabbies are of the male population. The ratio of male to female is 80:20 according to genetic studies. The reason for this is that the code gene responsible for the orange color is on the X chromosome. Male cats only need one pair of the orange gene since they have the XY chromosome, unlike that of females. They also develop freckles along their faces which standout because of the contrast of their fur color. Isn’t that cute? Fact #7 – Patched Tabby Type? The basic categories are mentioned above but there is also a pattern that is called a patched tabby. These are typically female cats that have any of the 4 patterns but with a red streak. 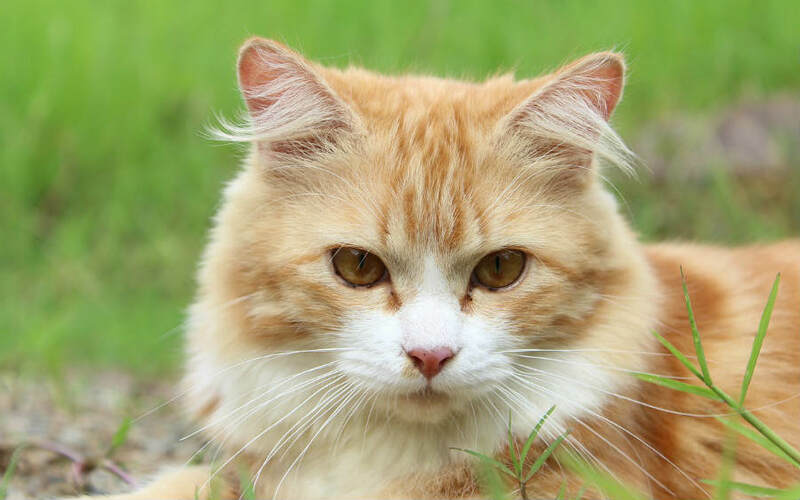 This is a result of the red gene that is common in female cats. The patches are also known as tortoiseshell or torbie, if with a tabby pattern. This marking is usually seen on the legs and the head. It was found out that there are more blotched tabby cats in European cats than the American ones. This is probably because the evolution of domesticated cats that started in the Middle Eastern countries propagated in Europe. A DNA study showed that there were 2 waves of cat dispersal in the world. The 2nd wave was that of Egyptian cats spreading out in Europe. It was mainly through Mediterranean ships that cats have traveled because they were used as rodent terminators. In biology, the gene is responsible for the building of different characteristics from one living thing to another. So there is also the tabby gene that controls the pattern changes in a tabby cat. It is scientifically named Transmembrane Aminopeptidase Q or Taqpep, in short. It was also believed that Taqpep is possibly connected to the immune function in cats. Just remember the word tabby gene instead. It’s much cuter, just like the tabby cats. New research has found out that the distinctive coat patterns only surfaced during the Middle Ages. Scientists found that the blotched mutation came out only during the 16th century. The descendant of all domesticated cats is the Near Eastern Wildcat also called the African wildcat. The two waves of dispersal mentioned before started from the Near East then later from Egypt. DNA tests revealed that the mutation was only during the Ottoman Empire. The pattern then became quite common during the 18th century in Europe, southwest Asia, and Africa according to researchers. The same tabby gene found in our domesticated cats can also be found in the wild king cheetahs. If you’re not that familiar, rare king cheetahs are the species which are not spotted. They have dark stripes instead running along their backs. If in domesticated cats the genes made the stripes into blotches, then it is the opposite for the cheetahs. The gene turns the spots into stripes. Interesting, huh? In one study, it was revealed that domestic tabby cats had a lighter brain weight compared to its wildcat ancestor. They also have thicker skulls that are twice than that of a wildcat. During the fetus stage, both have the same number of brain cells but significantly differ just before birth. It means that each of the species’ brain adapts to its environment. One specific difference is that the wild cats still have the brain cells responsible for their exceptional color vision. This is in contrast to the domestic cats which don’t have this anymore. They instead have cells that are more attuned to dim light and more sensitive to motion. But it doesn’t mean that the tabby cats we have now are not smarter than anything. They just had to evolve in response to their ever-changing environment. This is the same as the human species. Meow set the world record for the heaviest tabby cat at 39.1 lbs. for a 2-year-old cat at that time. It is an orange and white tabby which was turned over to a shelter because its owner couldn’t take care of it anymore. The shelter planned on giving it a special diet plan for it to be ready for adoption. The Guinness Book of World Records already removed the heaviest cat category because of animal health concerns. Dusty the tabby cat, which was born in 1935 in Texas produced 420 kittens over its lifetime. Its last kitten was born in June 1952 and its last litter age was at 18. She was listed in the Guinness Book of World Records as the most prolific cat. You guessed it right! Garfield! Garfield depicts an orange, male tabby cat that has a lazy and passive personality. These traits are often associated with marmalade cats. We’re not sure if the lasagna obsession is part of it. Another orange tabby cat, Puss in Boots is probably one of the smoothest and coolest cat characters ever made. It has green eyes and has a Spanish accent. Its breed is supposed to be inspired by the British Shorthair. It first appeared in the movie Shrek and then had its own self-titled movie released in 2011. Fact #17 – Real Life Puss in Boots? This tabby cat circulated on the internet as a real-life Puss in Boots because it loves to stand up and look around. Its name is Beibei and is a cream tabby which has the same innocent look as Puss in Boots. It has a brother named Baobao, a Scottish Fold which is of a mackerel tabby type. It is equally famous because of the signature flat poses in photos. The recorded longest cat whiskers in 2005 belonged to Missi which lives in Finland. It measured at 19cm or 7.5 inches in length. It is a Maine Coontabby cat which, as you might know, is one of the more popular breeds in the US. The Guinness Book of World Records entered one mega-talented tabby cat into their list as having the most tricks performed in one minute. Didga– short for Didgeridoo, performed 20 tricks in 2015 that gave it a place in the 2017 Guinness Book edition. Some of its tricks included the usual roll over, high five, and skateboarding. Talk about extreme tricks! The proud owner of Didga, Robert Dollwet hails from New South Wales, Australia. His tabby cat was a rescue from a shelter. Since 2016, Didga outperformed itself again and had 24 individual tricks finished in one minute. It has been said that tabby cats have a unique personality from other cat breeds. Some have mentioned that they are more social and affectionate. They like to interact with their family and play, unlike most aloof cats. Scientists specified though that the patterns don’t affect the behavior of this type of cats. A cat’s attitude is brought about by its upbringing and the type of environment it’s in. It should be quite difficult to identify the personality of tabby cats as it can be found in many cat breeds. Some tabbies are known to be aggressive while some are gentle. It shouldn’t really matter anyway. What matters is that all cats need some lovin’ which will be rewarded by their loyalty to you and your family. They are one of the cutest and most therapeutic pets one could ever have.